Apple cider vinegar has been recommended for improved health for thousands of years. Sometimes traditional health remedies have some basis in fact, even if the facts aren't understood. All kinds of claims are made for vinegar, often by people selling something! Is it possible that vinegar could in some way contribute to weight loss? And how could this be? Allow apple juice to ferment and you get an alcoholic "hard" cider. This can be accomplished in less than a week simply by leaving fresh apple juice on your kitchen counter to spontaneously ferment. Leave the fermented apple cider on the counter for about two more weeks and just as easily you get apple cider vinegar. A certain genus of bacteria and certain strains of yeast in some way locate the vinegar and consume the alcohol in the hard cider and transform the alcohol to acetic acid. So just exposure to the air turns fresh squeezed apple juice into vinegar in just a few weeks. The idea that vinegar can help with weight loss is not new. You can read testimonials in many places about how vinegar has helped someone lose weight. Often the suggestion is to take a spoon full of vinegar or two before each meal. Of course if you don't like the taste of the vinegar, you can probably find a source of pills containing apple cider vinegar! That's the idea, just take a little vinegar before each meal and lose weight. In this case there is a recent Arizona State University study that suggests that vinegar can help with weight loss and suggests why. Only part of the study involved vinegar. The vinegar was consumed as a diluted drink before meals and did alter the glycemic effect of meals. The glycemic effect relates to how fast insulin rises in response to sugars entering the blood stream. Eat low glycemic foods ( whole grains, non-starchy vegetables, legumes) and you get a feeling of fullness and will take in less energy during a day. Eat high glycemic index foods (processed grains, potato products, white flour and sweets) and excess carbohydrates you eat will be mostly stored as fat. In this study, apple cider vinegar reduced the glycemic effect of certain meals. The effect though was quite small. So it does seem that apple cider vinegar can help you feel full after a meal and can alter the digestion of what you eat to help with weight loss. But don't expect huge results. The results are small. Altering your diet and exercising are the way to real weight loss. If you really want to lose pounds and feel better, change your lifestyle to eat more healthy foods and get regular exercise. But there are many small steps you can take on the way to a more healthy way of living. 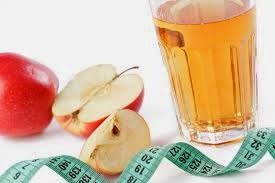 Using apple cider vinegar does appear to help with weight loss, but it's only a small effect.